1384, CENTER CAP USED, 83-85, OLDSMOBILE, FIRENZA. PAINTED GRAY PLASTIC, ENGRAVED LOGO, SNAP ON, 2" DIA. 1384, CENTER CAP USED, 83-85, OLDSMOBILE, FIRENZA. PAINTED GRAY PLASTIC, ENGRAVED LOGO, 2" DIA. SNAP ON, FOR A 13", RIM. 1698, CENTER CAP USED, 90-92, LINCOLN, CONTINENTAL, MARK SER, BBS, PLASTIC CHROME, BLACK & CHROME CENTER, CHROME LOGO, 6 METAL CLIPS, 3-1/4" DIA. 2344, CENTER CAP USED, 06-09, DODGE, PLASTIC CAP, NO LOGO, METAL RING, SNAP ON DESIGN, 6-7/8" DIA. 63659, CENTER CAP USED, 82-83, HONDA CIVIC, SNAP ON, CHROME RING, BLACK WITH CHROME H. 2-3/4" DIA. 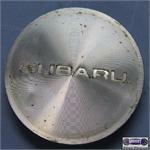 68731a, CENTER CAP USED, 04-06, SUBARU, IMPREZA, LEGACY, METAL CAP, MACHINED FINISH, ETCHED WORD SUBARU IN CENTER, METAL CLIPS, SNAP IN TYPE. 2-5/16"
69131, CENTER CAP USED, 83-86, TOYOTA, CAMRY, PLASTIC CAP, CHROME OUTER RING W, SMALL ETCHED RING, 15 RECTANGLES, ROUGH MACHINED CENTER, 7-7/8" DIA. 69131, CENTER CAP USED, 83-86, TOYOTA, CAMRY, PLASTIC CAP, OUTER RING HAS SMALL ETCHED RING, 15 RECTANGULAR HOLES, ROUGH MACHINED CENTER, BLACK ETCHED WORD TOYOTA, 5 METAL CLIPS ON POSTS, SNAPS TO RIM, 7-7/8" DIA, ALSO FITS 69366. 69366/69131, CENTER CAP USED, PLASTIC CAP, CHROME OUTER RING W/SMALL ETCHED RING, 15 RECTANGLES, ROUGH MACHINED CNTR, BLACK ETCHED TOYOTA, 7-7/8" DIA. BUICK DOG DISH USED, DD-0001,1940-50 & 60', CHROME, ENGRAVED BLACK WORD BUICK IN CENTER, SNAP ON, 10-1/8" INSIDE DIA. BUICK DOG DISH USED, DD-0002, 1940's-50's & 60's, CHROME, ENGRAVED WORD BUICK IN CENTER, SNAP ON, 10-1/8" INSIDE DIA. BUICK DOG DISH USED, DD-0002, 1940-50 & 60', CHROME, ENGRAVED WORD BUICK IN CENTER, SNAP ON, 10-1/8" INSIDE DIA. BUICK DOG DISH USED, DD-0003-A-B-C, 1940-50 & 60', CHROME, RAISED WORD BUICK IN CENTER, SNAP ON, 10-1/8" INSIDE DIA.